The typical storage times of meat, fish and poultry can often be long term due to blast freezing and blast chilling however,you might be wondering how long you can safely store fresh fruits and vegetables in food cold storage containers. Fruits and vegetables are of course, unable to stand the storage longevity of other products but you may be surprised at just how long fresh produce can be stored in an industrial chillier. Fresh, whole lettuce is typically stored for a very short period of around 1 to 4 weeks. It is harvested and distributed during high demand periods that are generally calculated ahead of time. Lettuces are cooled and stored at a temperature of 0ºC and when demand isn’t met, you can expect to keep lettuces for around a month before they are no longer fit for the consumer. Due to the ripening process that bananas undergo, they are generally only in storage for around two weeks. The trip across the ocean to the UK takes around a week and during this time bananas will be stored in refrigerated containers at 14ºC. Once in cold stores, they are kept at a temperature of around 17ºC for optimum ripeness before being shipped out for consumption. Once washed and sprayed apples can be held in food cold storage containers anywhere from a few weeks to a whole year. If your apples are for immediate consumption, then ideally they need to be placed in a refrigerated unit at a temperature of 0ºC. If a longer term solution is required and the apples are to be stored, they must be ‘put to sleep’ in an oxygen controlled room. 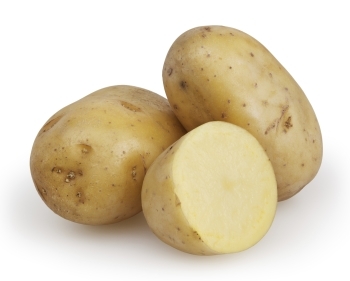 Another fresh vegetable that can safely survive in storage for up to a year is the potato. Using a curing process of high 20ºC heat and high humidity can keep potatoes fresher for longer. A chemical inhibitor is also suggested for long term freshness during the picking or cold store stage. Once this curing process has taken place, potatoes can then be stored at 2-3ºC until ready for distribution or consumption. A time of 1-6 weeks is suggested for tomatoes in food cold storage facilities, whilst a temperature of 12ºC is perfect for the fruit. Getting the temperature for tomatoes correct is imperative for the best tasting and looking batch. Too high and the tomatoes will lose their rosy red appearance, too low and you will sacrifice the sweet, juicy taste. Finally, if you are storing carrots over a long period of time you will want to ensure they are placed into a cold store container as quickly as possible. 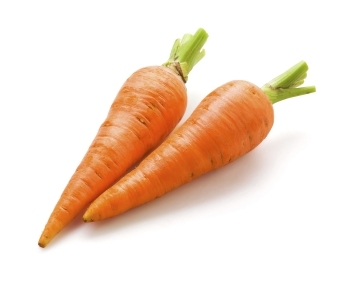 Chlorine baths are also used on some carrots to maintain freshness before storage but without this instant cooling, they can lose their fresh, crisp flavour. Correct preparation and a storage temperature of just above 0ºC will allow you to keep carrots for around 5-9 months before they are no longer fit for consumption. Nonetheless, bunched and baby packed carrots have a much shorter shelf life of around 1 week to 12 days and should therefore only be picked if the distribution or consumption rate is near.